Billie B. and Hey Jack! ​​CLICK ON THE BOOK COVER TO ORDER! 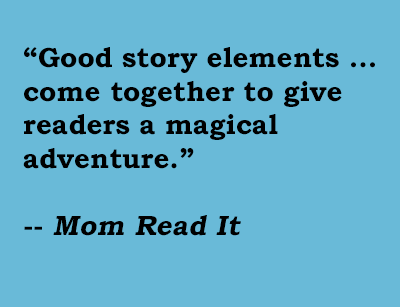 Fresh new take on the fairy tale genre – funny, uplifting and unconventional! After turning up late to each and every meeting, Tallulah Tickle has one last chance to keep her place in the witches’ circle. 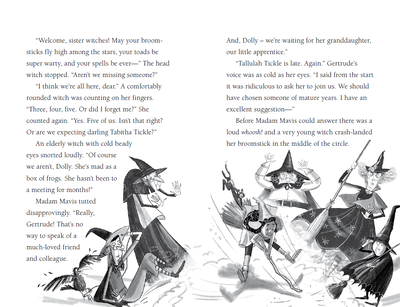 To prove herself, she must prepare a mouthwatering midnight feast for the other witches in just three days – and there’s a catch. They’ve ordered Tallulah to make their favorite meals … but they won’t tell her what they are! Tallulah has always been a terrible cook, and, to make matters even worse, wicked witch Gertrude Higgins has it out for her. With help from her little brother, Tom, her trusty cat Sparks, and a very chatty crow, can Tallulah cook something special up before time runs out? Click here for discussion questions for Tom & Tallulah! Click here for games and activities from Tom & Tallulah!